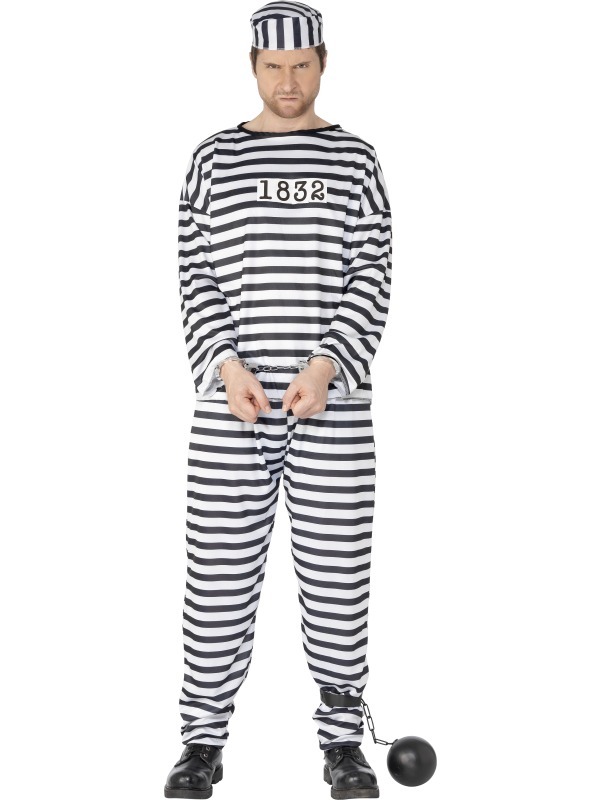 Convict Costume, Black and White, with Shirt, Trousers and Hat. Large adult. Chest 42-44", inside leg 33".